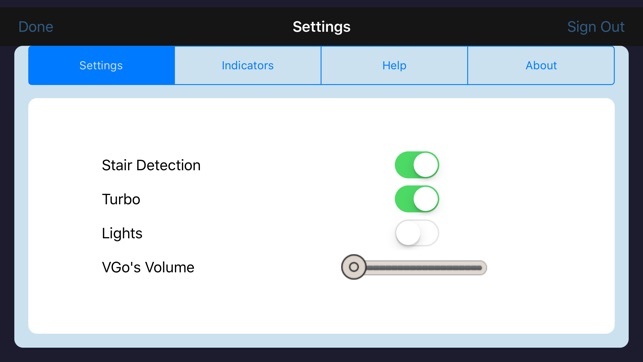 VGo App for iPhone enables VGo Robotic Telepresence users to use an iPhone to visit using a VGo. 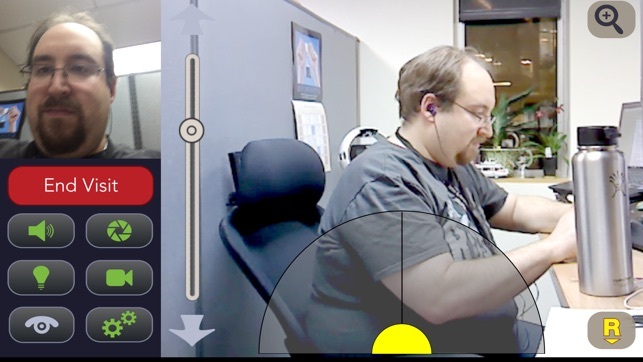 With VGo you can move around (drive) in a distant location and interact the people there. 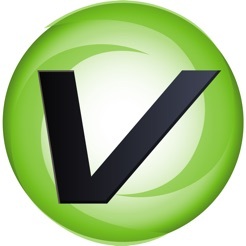 VGos are in hospitals, schools, businesses and the home. 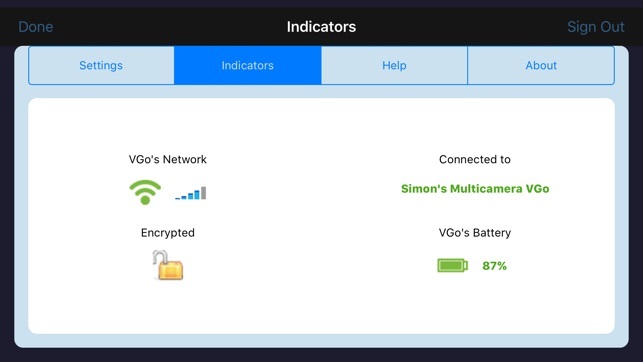 VGo is simple, secure and affordable for all type of organizations. Your organization must provide you with a username and password and provide access to approved VGos. 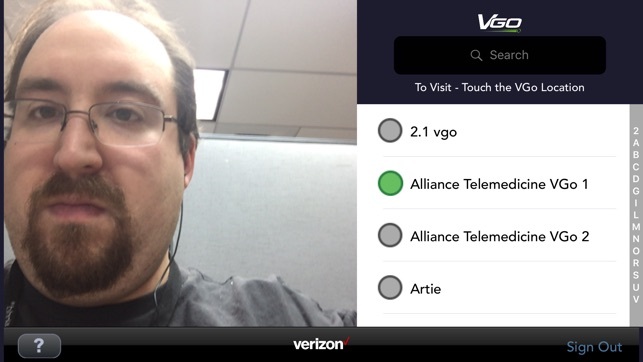 VGo Telepresence is an effective immersive communication tool and this App makes it easy to use.